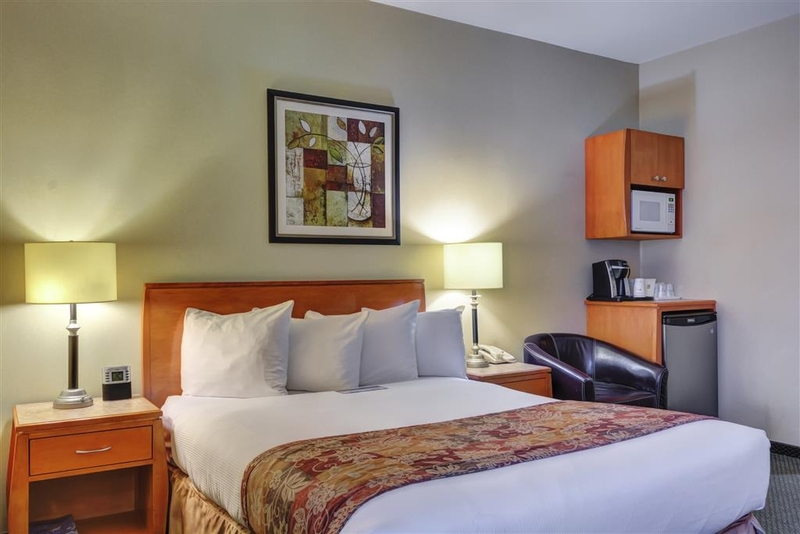 El Best Western Peace Arch Inn se encuentra en el centro de Surrey. Venga y disfrute de las mejores atracciónes turísticas cerca de nuestro hotel. Precios bajos garantizados y ofertas exclusivas. ¿Para qué sirve disponer de un fantástico hotel en Surrey si además no ofrece unas magníficas tarifas, precios totalmente claros son cargos ocultos y una estratégica ubicación?Este hotel de Surrey ofrece a los huéspedes todo lo necesario para que puedan disfrutar de un lujoso y relajante viaje. Otros hoteles de Surrey no pueden competir con nuestro impecable servicio, nuestras instalaciones de primera calidad y la mejor ubicación de la ciudad. Nuestro hotel se encuentra situado junto a la frontera, así que si lo que necesita es "pasar al otro lado" no tendrá que desplazarse demasiado para adentrarse en territorio extranjero. Este establecimiento se ha convertido en la base idónea para viajeros internacionales. Los hoteles de Surrey abarcan una inmensa variedad de servicios y características, pero claramente este hotel BEST WESTERN de South Surrey gana la competición de largo. ¿En qué otro lugar podrían los huéspedes encontrar estas fantásticas habitaciones a un precio tan asequible? No deje de disfrutar de nuestro famoso desayuno continental gratuito que incluye cada día tortitas calientes recién hechas, pasteles dulces, cereales calientes y fríos, yogur, fruta fresca, café 100% Arabica y jugos fríos. Alojarse en Surrey no tiene por qué salirse del presupuesto si se sabe elegir el lugar adecuado. Haga la elección correcta y reserve una habitación en este amplio hotel de Surrey. Nuestro hotel goza de una fantástica ubicación a poca distancia de los estadios de varios equipos deportivos, lo que le permitirá acceder a los partidos con toda facilidad. El fútbol es el deporte rey en este lugar, pero nuestros huéspedes podrán disfrutar de otros muchos eventos deportivos durante todo el año. Crescent Beach es otro lugar de obligada visita si deseadisfrutar de las mejores olas. Los huéspedes en viaje de negocios quedarán encantados especialmente con nuestro fantástico servicio y nuestra estratégica ubicación. Este hotel de Surrey alberga de forma regular a empleados de Cora Franchise Group, Loblaw, Ministry of Children and Family Development y Walmart® Canada. ¿Quién dice que no es posible combina placer y negocios?Descubra lo que le espera en este hotel de Surrey. El entorno local ofrece restaurantes y tiendas de calidad. Las atracciones culturales proporcionan la manera idónea de pasar el tiempo. ¿Qué tiene previsto en su agenda?Reserve una fantástica estancia en el Best Western® Peace Arch Inn y prepárese para relajarse. it's a great place to stay, lots to do.. it was very clean and with breakfast.. a great swimming pool with hot tub that was nice and clean.. big rooms with easy to get to. it is right by the hospital which is what we needed.. two blocks or so away that can be walked to if needed... Had only one prob.. the place ran out of parking. This was the first time it happened so we will check the next time. Sooooo much stuff needed attention the pool was unacceptable the internet speed was slow and the rooms were dingey - I wouldn't recommend this place until their start taking more pride in their appearance and quality of their furnishings.. This hotel is quite old and the common areas are currently being renovated. We were not informed of the work being done prior to the visit, however, we found everything is clean but the rooms are dated..
"Best Western Peace Arch Inn." The room was a nice size to accommodate a wheelchair. Easy access to King George Blvd for shopping, entertainment and other amenities. Also easy access to Highway 99 for the US border, Vancouver, and ferries to Vancouver Island and the Gulf Islands. "Don't bother with this hotel if you can find anywhere else to stay"
Paid for 2 queen beds, got 1 queen and 1 double, super-hard beds with lumpy pillows. The kitchenette from the last century was mostly out of order, kettle non-functional, bathroom hardware broken so the bath faucet was continually running (not dripping). The queen bed reeked of smoke and the fan was too noisy to run while trying to sleep. We booked based on proximity but next time will avoid Best Western. We seem to have very poor experiences at this chain. We have stayed at this Best Western many times and it is now the only hotel we stay at when visiting White Rock/South Surrey. It is close to everything and the hotel is clean, very comfortable and the staff are amazing. We stayed 2 nights and enjoyed the convenience of visiting friends on both sides of the border while also getting rest from travel & jet lag. Breakfast was good, staff were pleasant and efficiently looked after our requests. Nice to have a gym area to use in the winter weather. Some hall painting repairs need to be completed. "Best hotel in Soth Surrey area!" This was my third stay in this hotel, and so far I have found it to be clean, pleasant and well-appointed, consistent with Best Western standards. 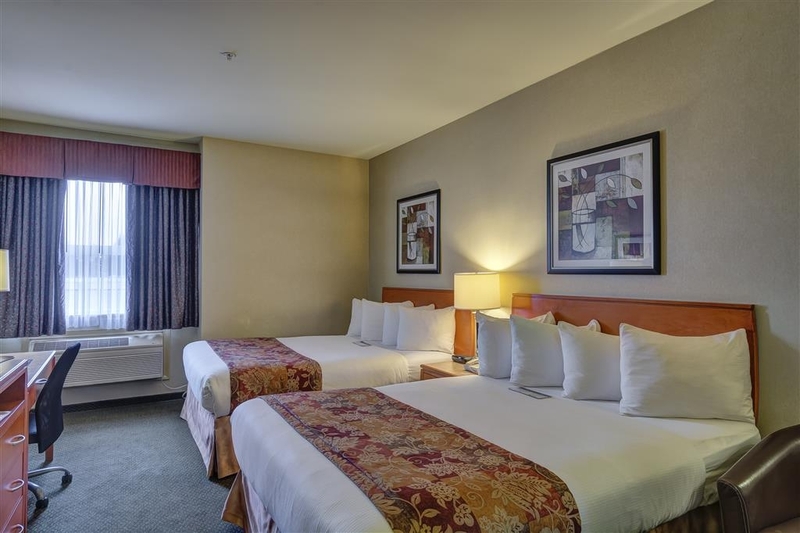 As a former resident of the area, I think the hotel is very well-located and the best one in the White Rock/South Surrey area, The service was very efficient and friendly. Great location with recent updates to the exterior and interior of the building, including new front lobby and major improvements to the breakfast room. Always great service with in room internet, great breakfast, and indoor pool and workout room. In general, it was very good. What you would expect for the price. It would have been better if the breakfast room was open until at least 10-1030am. I rated average for Sleep Quality, as the main king bed was very comfortable but the pull out sofa-bed was quite uncomfortable. As always we had a wonderful time at the Best Western Peace Arch Inn hotel. The staff is always so helpful with a great a attitude.The renovations are really coming along! I would highly recommend this hotel. I recently stayed here for four nights while waiting for my car and furniture to be delivered to a new condo. The bed was quite firm, compared to other Best Western Hotels I've stayed in, but it was comfortable. I loved the pillows! They had just the right amount of firmness and support as I suffer from neck and shoulder pain. The breakfast was quite good but I wish they had soy milk as I'm lactose intolerant. No afternoon cookies like some other Best Westerns. The pool was small but warm and nice. Loved the hot tub! The location is great! Restaurants all around the hotel so you don't have to go far for food. Next door is a Subway and there are two Chinese restaurants a few doors away. There's also an A & W next door. Five minutes to the US border and beach. "Very close to USA border crossing." Good location, Clean rooms, light breakfast included, Friendly staff. Good bang for the buck. Popular location as it is close to the USA border crossing. Rooms book up fast. Minor renovations were in progress during daytime only. Quiet at night. We moved to Vancouver island a year ago but still visit the mainland every couple months. We always stay at the Peace Arch Best Western when we go back. The staff, the service. the breakfast, the rooms are alway wonderful. Every time we book this location, we are pleased with the warmth of the staff. The desk clerk on check-in even recognized my husband from our previous visit about a year before!! Breakfast in the morning included hot and cold item and was well laid out. Since our previous business they had expanded their eating are by placing it in the basement. We had a great check-in - the staff was very, very friendly! The hotel is under renovation and it looks like it's mostly done. Our room was on the small size and could still use some updating, but overall, the beds were very comfortable and we slept well. I was concerned with how noisy it may be as it's right on the highway, but we didn't hear any traffic - it was very quiet! "STAYED HERE HAD 3 ROOMS"
"Great customer service and very comfortable"
My wife and I stayed at the Peace Arch for a few days so we could see White Rock and the Vancouver area. They gave us a room on the first floor. It was a larger room but had some issues. When I brought these issues up with Abdul at the front desk he was excellent. He reviewed our issues and as it was late at night he informed us that we would be moved to a different room the next day. When I spoke with the GM Sav the next morning everything was taken care of. As I have said in other reviews its not the problem but how it is fixed that impresses me. They did a great job of finding a solution to the problems. The Bed in the new room was very comfortable. the pillows were nice and soft. The couch in the room was a nice touch for relaxing after site seeing all day.Very roomy. The hotel is going through extensive renovations so you may have to be a bit patient. From the changes we saw it looks like it will be outstanding when completed. The breakfast area is moved to the basement and is huge! Good standard food for a best western. Eggs, sausage, different cereals and breads. I thought it was very good overall. The young man taking care of the breakfast always made sure the eggs etc were being filled as soon as they needed more. Overall I would have to say i quite liked our stay at the Peace Arch Inn. Good location right off the highway with good parking facilities. The service was fantastic thank you toe Sav and to Abdul for taking such good care of us. We did leave happy. We look forward to going back. 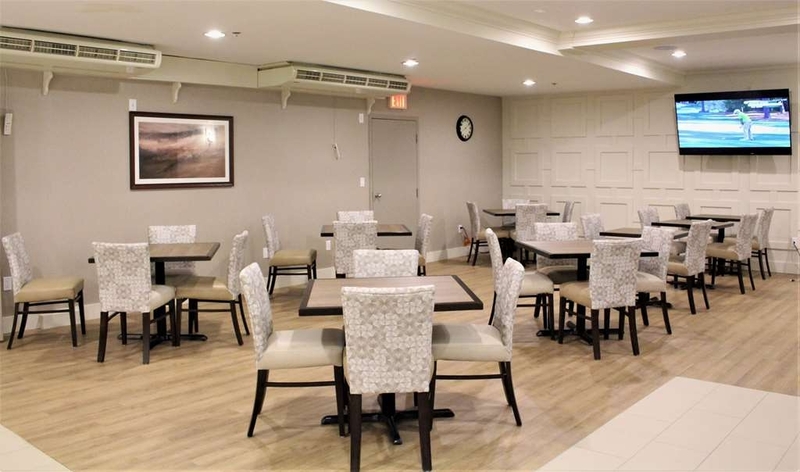 "Newly renovated, Clean Comfortable rooms good staff"
Iafter returning to this hotel after a few years I found some nice rennovations including a new breakfast room on the lower level which can now have a hot full breakfast with more choices. The main lobby has been redone and is looking great! Comfortable beds, great staff and very accommodating. Good price for location and would reccommend for sure. I previously reviewed this hotel and I enjoyed my stays there in the past. This trip I found the hotel significantly upgraded. From the outside sign to the front entrance hall, it is a huge improvement. The breakfast section is now in the basement, with a larger space and hot items (egg beater eggs and pork sausages) as well as various breads, cereal, the same old pancake maker, and juice bar. The rooms will be upgraded this summer, I was told but my room (301) was very comfortable and quiet. I hope they upgrade the AC/heating fan system though, as it is quite loud when on, and I also hope they start providing bath mats or rubberize the tub base, as it is quite slippery. As part of the renovations now, you have to use the front entrance only, as the back door and stairs are closed. The staff, as always, were very friendly and helpful. "Cleanest hotel we've stayed in"
This is a great hotel! The breakfast room was spotless, and the food was excellent. Typical BW food options but with the added bonus of an individual pancake baker - how cool! The staff is great. We had a problem when my wife dropped one of her gold ear-rings down the bathroom sink. We contacted the manager as we were leaving for the day (returning that night) their maintenance man disassembled the p-trap and recovered the ear-ring. We are BW premier members and have seen some BWs that are sub-standard, but this one rates tops in our opinion. "Friendly Staff a d good location." Hotel is a couple of miles from the border crossing and very easy to get to. There were several restaurants and shops a short drive away. Room was clean and average size. Staff was helpful at check-in. We enjoyed our stay as usual at the best western peacearchinn. Clean, nice room with great staff and a good selection for the breakfast.few restaurants at walk in distance. Good location close to white rock and the us border. Peace arch inn have wonderful staff always ready to help. I personally like the best western hotels. Rooms are clean and the new breakfast are was really good. Will recommend this hotel. Thank you for your great hospitality. The staff were very welcoming and friendly. We appreciated the recommendation of a restaurant nearby for dinner. The room very comfortable and clean. We would stay here again and would recommend this hotel to family and friends. Pleasant and friendly staff. Clean and comfortable rooms. Nice contenential breakfast options. We were passing through and happy to stay somewhere fairly reasonably priced for the area. We would stay here again. Have stayed here before the improvements ( hot breakfast ) is a plus. This is a standard BW and as always the room was clean, good bed and front office staff helpful and friendly. I understand they are going to be doing some upgrading so this will be good. Pricing was competitive , and the location hard to beat for shopping and restaurants nearby. This is a comfortable hotel in a convenient location. There was some renovation work going on but it did not negatively effect our stay in any way. It is conveniently located within walking distance of dining and some stores. Close to the border and a major shopping area off the major highway. The staff was helpful and pleasant. I would stay there again. Spent several weeks at this Best Western property. The hotel is undergoing some refurbishing, exterior, lobby, and then the rooms will be done, something which is needed as furnishings are looking dated. The hotel staff, both front desk and room attendants are really friendly and accommodating. Our room was clean and well appointed, and one of the hotels best features is the excellent breakfast buffet included in the price. Location is ideal, close to White Rock, and there are various strip malls and restaurants nearby. As the name suggests, the property is also close to the BC / Washington State international border crossing. There is a pool and a fitness centre though neither were visited by us during our stay. Parking is on the hotel property at no charge. Love the remodel, looking great, breakfast is Starting to improve, close to the Blaine (Peace Arch) border, very convenient. They accept late arrival when notified. The staff are very friendly and helpful. We took a quick trip to Canada to stock up on Hawkins Cheesies and other items that we can't get in Washington State. This location is perfect, they allow pets and have a pool. Super friendly staff and breakfast in the mornings. Had a great stay and will stay again. "Room was standard but definitely not clean"
While you can tell they are trying to improve the hotel I wouldn't recommend due to a few factors. The room was not clean, there was garbage in the drawers, stuff on the counters and tables (no idea what which is gross) I washed all the counters and such and did not throw away the garbage though. The mattresses are old or cheap, unsure which but not comfortable at all. If you have food allergies breakfast will work for you but is limited. There was a sign that said they had gluten and dairy free options available but the gentlemen working in the breakfast room had no idea. The options were a hard boiled egg, toast (gluten and dairy free) and a fruit cup. Healthy enough but when I saw that sign I was pretty excited so slightly disappointing. When we checked out the person behind the counter was not exactly nice or polite. He was quite rude when I asked him to remove the deposit from my card and said he does it later, when I told him to do it now as I wanted the receipt he actually argued with me and then did it but not happily. I stay in hotels frequently and so I am aware of how that works but to be argued with about it with no one else around and absolutely no reasoning not to remove it at that time seems shady. We were going to rent through AirBnB and will next time we go up. I feel the hotel is too highly priced for the state of the rooms and breakfast. "Great Service and a Good Location"
It was easy to get downtown for events only a 25 minute drive and restaurants are a quick walk away. The breakfast was really good as was the staff, overall a very good stay, I would come back again . Lobby in the midst of being renovated, so overlook that temporary situation. Good clean rooms, excellent included breakfast, no charge for parking, close ( walking distance) to AW and excellent Chinese food restaurant( golden lion...I've eaten there for years). Mattress a little too firm for my liking....but that is no fault of the hotel. Was very central to both langley and whiterock where we were visiting family for the holidays. Was very clean and comfortable, although the pillows were not the greatest, kinda too big and hard. 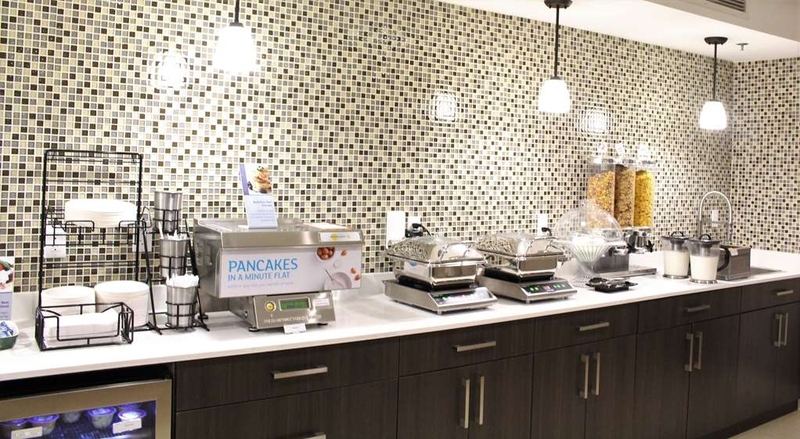 The newly refurbished breakfast area downstairs was very nice with a fantastic pancake machine. Staff was courteous and very friendly. Would stay again. The hotel is being renovated and is in quite a mess as well as not enough parking. Breakfast is lacking quality but the staff was great.Great Greek/Italian restaurant just a block away. No traffic noise and comfortable beds. Bathroom is a little tight but hot water didn't take long. Stayed for one night on our way to Vancouver, BC. Hotel is conveniently located near the border.Was not given rewards members welcome package upon check-in. Had a room at the bottom floor. Clean but furniture are dated. Breakfast was ok. Breakfast area is small and located in lobby. Check out was fast and easy. Staff were polite and helpful. If you have a pet this hotel is probably your best option for value good place and quality service. It has easy access and is close to all amenities in the area. Will stay there in the future if in the area. The front desk person was rude, amenities were extremely minimal, the room and common areas had an unpleasant smell and there was not enough hot water. Lighting in the room was poor as was the bed and bedding. Never will I stay at this hotel again and I have had usually had good experiences with Best Western hotels. I stayed at this location for a week during some renovations at my home. I was very impressed with this property. Abdul set up my reservation and was always very helpful and friendly as were the other staff. This property is very clean. I would definitely return. Having the kitchenette was very helpful. The only thing I didn't like was the private children's swim lessons that take place right by the hot tub. This is probably the best property in the local area. Thank you! "Great place for a one night stay before crossing the border. 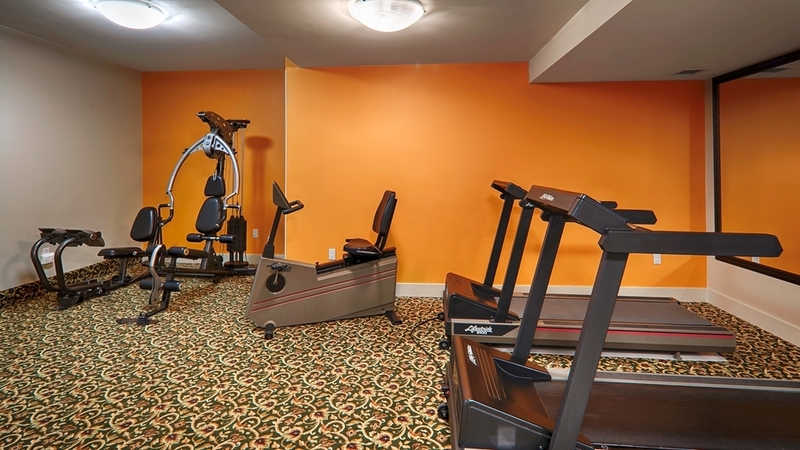 Clean room,pool and exercise room in basement." Good hotel with easy access to the highway. Many restaurants and stores close by. Adequate breakfast but located in cramped lobby. Perfect for our one night stay before heading south to Peace Arch border crossing. 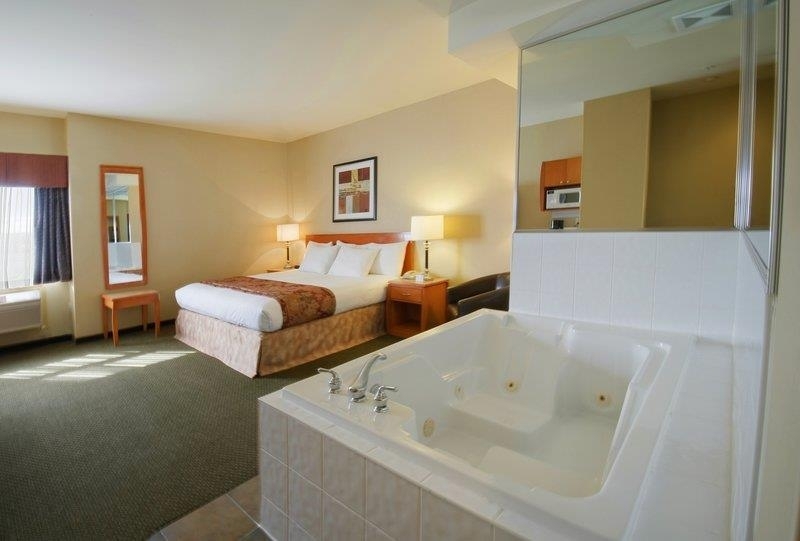 The Best Western Peace Arch Inn is the perfect location for a visit to the White Rock and South Surrey area. Centrally located, all shopping, amenities and activities are within a short/safe walk or drive. Staff members at the motel are super polite and accomodating, and the bonus consideration is the inclusion of gluten-free bread with the breakfast items. The Red Rose Restaurant, within easy walking distance, has a varied and well-priced menu, suitable for families or adult celebrations. Try a glass of the Chaberton Estate pinot gris! As usual very nice stay at the best western peace arch inn. Staff is friendly and room are clean with comfortable beds. The indoor pool and hot tub was great. Good selection for the breakfast and I was able use the business center for some of my work. Restaurants are walk in distance and US border at few minutes drive. Stayed for work but will return for work-pleasure. Quiet location and lots of dining choices nearby. Quality of hotel and staff make it worth the driving I had to do to get to my Richmond work location. Will definitely stay again. The hotel isn't fancy nor does it have a fabulous breakfast. What it does have is super friendly and accommodating staff and a great location! Our room was clean and comfortable and the breakfast was sufficient but the staff truly made it enjoyable. staff at hotel were very friendly and helpful . breakfast was adequate, area to small to really enjoy your meal , it was also in the check-in area . room was good pillows were hard. Coming from the south on King George highway was difficult. Restaurants and bars were close by. We were surprised at how nice the property was. The staff are great. The breakfast had a great pancake machine which we used to the fullest. The hot tub was also a nice surprise as we have stayed at quite a few places & this worked so well, plus after a day of sightseeing it was a nice way to relax. We will go back for sure. Nothing terribly wrong, but nothing stood out either. Room was on the small side, breakfast room was tight, breakfast food so so. Tight parking as well. Not a place I would recommend, I expect little more at this price point. Rather disappointing. Rooms are clean and staff were wonderful, they are all pretty helpful, located close to white rock beach and some shopping areas, The pancake machine was great, I loved it, good breakfast. I got top floor quite room worked well for me. Will recommend this hotel, and return is well. "Close to PNE And Shopping"
Peacearch inn is a nice place to stay, with very helpful staff, clean rooms, good breakfast. Close to white rock beach, restaurants, gas station and shopping mall. We stayed there before and we did enjoy our stay again. Recommendable hotel. 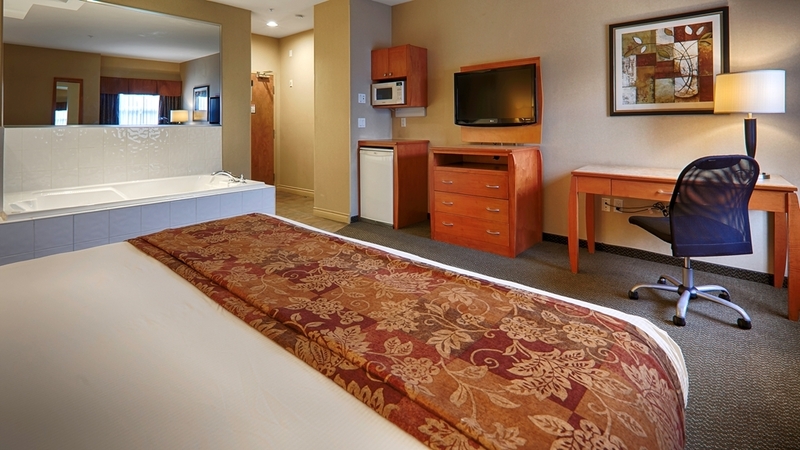 This Best Western offers excellent service, a great room with full internet service, and a great breakfast. They have a lot of parking and are very close to restaurants including an A&W. Shopping is also close by including Walmart and Safeway. A movie theater is in walking distance from the hotel. "Small hotel Excellent customer Service"
I was late checking in, and the gentlemen behind the counter was excellent an making me feel welcomed to the hotel. Check in was fast and efficient. The bed for me was quite comfortable and fell asleep within 5 minutes. Room was a little dated but had all the amenities, fridge, microwave, Keurig coffee maker and TV. Noticed that BC area showers cold on the handle is opposite that of Alberta. Breakfast area is small but so is the hotel. A good place to grab something, watch TV and then get going. We liked out stay at the best western peace arch. Nice and clean rooms with Freindly staff at the front desk. Good location located close to white rock in South Surrey. Mall and restaurants close by. I would certainly recommend this hotel and will stay there again when back to town. "I have no idea what this means." Great experience, friendly staff, close to mall and white rock beach. Rooms are good size with comfortable beds. We really enjoyed our stay, Kids loved the pancake machine, Indore pool and hot tub with sauna. Good location overall. 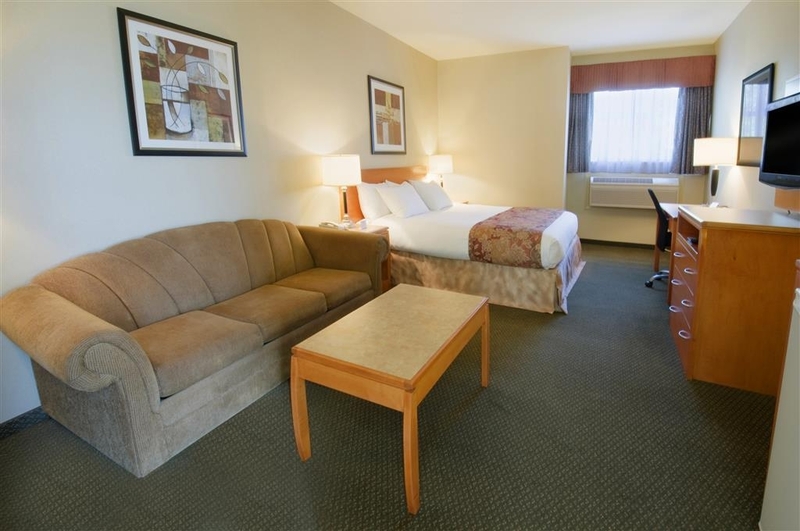 We would recommend the best western peace arch inn hotel. Thank for the great service. I had a wonderful experience. I came early and the person running the desk let me put my bag behind the counter since check in time wasn't till 3pm and I had places to be. They had friendly staff and I always had clean sheets and fresh towels everday. There are alot of things that are close if you are looking to save money on food then there is a grocery store two minutes up the road and an A and W next door. I would recommend this hotel to anyone. They have a pool on site in the basement. very relaxing. The continent breakfast is only offered til 9:30am and the ladies start packing it up at 9:20am. The breakfast is very small with a pancake maker, a few items to toast, couple cold cereals, rubbery hard eggs, yogurt, packaged porridge, juice machine and a few strudels/muffins. "Excellent location for soccer at South Surrey Athletic Park"
Price was a bit high but other than that we had a nice stay. Just a few very minor problems like bathroom door not locking but really was not a big deal. Easy walk to grocery/pharmacy and other stores/restaurants. Easy location for bus route. 7 min. drive to South Surrey Athletic Park. Rooms were clean and have a great staff. Continental breakfast was exactly what we needed and was fresh. Our bed was a bit hard and air conditioning started to break down but really not a big deal for us. The check in process was nice and easy and the front desk clerk was friendly. The hotel has an elevator, too, which was nice. The room was spacious and clean as was the bathroom. The location wasn't too bad. Depending on traffic driving up to Vancouver wasn't bad and it is very close to the US border. "Canada Day Weekend stay in White Rock area"
We have stayed at the Best Western Peace Arch Inn before and will stay there again. The staff are so friendly and accommodating. The rooms are very well kept and it is a quiet, family friendly hotel. There is easy access to many places in the White Rock and South Surrey area. I would recommend this hotel to others. "All good but had a cranky desk clerk on departure"
Only problem we had, desk clerk could not give me the exchange rate from American money to Canadian money. I gave him $40.00 in American money and he gave back $0.00 in Canadian money. Everything else was perfect. "Valuable stay in White Rock"
This is the 2nd night I stayed in Best Western hotel in this Vancouver BC trip. This is a small hotel, clean and convenience to White Rock. The Price is much better than my first night in Richmond. Yes, I will recommend this one. When we arrived, we decided we did not want to stay an additional night, upon checking in for the 1st night, we were told that we could not cancel the 2nd night, we made these reservations via the "Best Western Peace Arch Inn website" They refused to give us our money back, saying because it's a 3rd party website. I was very careful about the website, this was not a 3rd party website, it was theirs. Because be made it online and did not call directly, they would not refund. Then they ending up putting us next to the elevator, did not get any sleep. I would never recommend this hotel to anyone. Thank you for staying at the Best Western Peace Arch Inn. It is unfortunate that you did not have a favorable experience with our hotel due to not having your second night not being cancelled by our staff. The reservation that was booked by yourself was an advance purchase which gives you a considerable discount on the room rate. However, it clearly states in our booking policy that the full amount of stay will be charged to your credit card immediately. It also stated that this reservation cannot be cancelled. When you completed the reservation you are fully aware and agreed in our hotel cancellation policy. Again, thank you for staying at the Best Western Peace Arch Inn. Great time. Shot stay but room was clean and pool was warm for The kids. Nice breakfast too! We used a crib from the hotel for our little one. It was in good shape. Clean and sturdy. The parking was plentiful and the staff very kind. 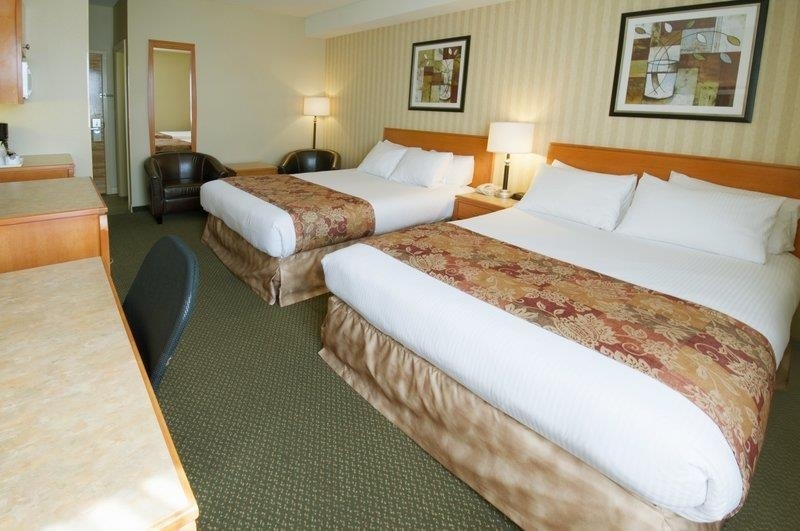 Very good hotel choice for business travellers in South Surrey and White Rock. The hotel was easy to locate and close to amenities. It was just minutes from the office I was visiting the next morning. The room was quiet and well appointed for business purposes and comfort. Bed was very hard and pillows are too small. The front desk agent was very helpful and courteous. The breakfast area is really small, need more selection like eggs and bacon or sausage. Nice and close to the US border. This location for me is considered a reasonable back up when I am unable to book into the other Best Western in the Surrey area. I find that as a 'Celiac' there are no viable options for Breakfast at this location, thus I must head over to the A&W which is near by. Upon booking I reserved a room with a kitchenette as I had to prepare 2 days of food for our softball team. The service was great and the staff is always very accomodation when we stay here. The fridge was non-operational. No oven & 2 stove elements. I really needed teh fridge but I went and bought more ice for my coolers and saved he food that way. I did not complain. Aside from teh the place is fine...I would never book this hotel due to totalyl uncomfortable beds & pillows but it is close to the ball damonds and convienient. Probably over priced for the quality of room and minimal continental breakfast provided. Would we stay here again? Probably not. I think if we repeat this trip we'll more than likely give the Best Western in Langley a try. "Best Western Peace Arch Inn"
This is a well priced, charming and friendly little hotel. It is conveniently located and within walking distance of several top notch restaurants and other amenities. Customer service is great here, with the staff making you feel very welcome to the property. Rooms are clean and comfortable. The free breakfast, while somewhat limited, is adequate to give you a good start to the day. I really want to rate this hotel higher. The customer service was wonderful from check in to the early morning attendant at breakfast. The breakfast provided truly is continental, while giving you a good start on the road, you will want to plan for something substantial elsewhere. Our first morning was crowded by 6:15am as it seems more than one sports competition/tournament was happening during the weekend. It's a tiny breakfast area but clean. As others have mentioned, the walls and floors are thin. Yes, you can hear kids running up and down the hallways and the elephants on the floor above at 2am. While there is a washer and dryer, be prepared to bring your loonies and quarters for $2.75 a load. Beds are on the hard side and pillows on the fluffy side. 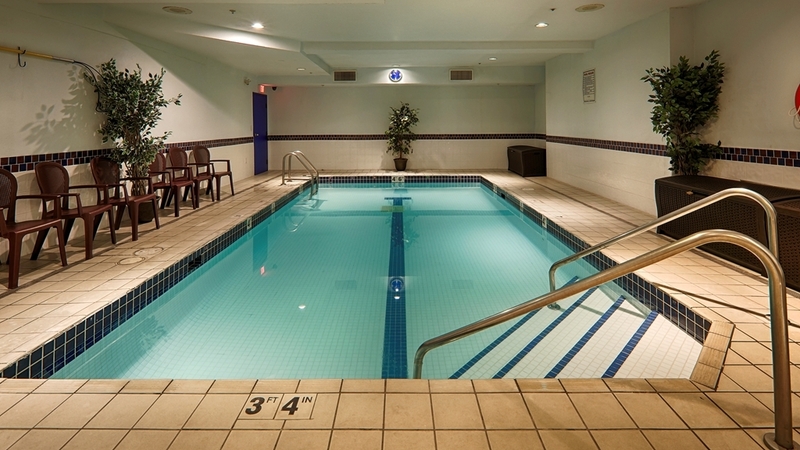 The hotel also contracts their pool out for swim lessons. This hotel is good for a short stay, 2 nights max or your back will suffer from the beds. Gap under the room door lets in the hallway light and noise. This hotel had everything we wanted. Good location, free breakfast, gym, pool, sauna and hot tub. Staff were very accommodating when we asked for a specific room and also to check-in a bit early. Pool was perfect and in a private setting. Will definitely go back. We stayed a continuous five nights at this hotel and are very satisfied. The room was properly cleaned and ventilation was possible because the windows can be kept open during the night. Staff was very happy to help. Over all a very comfortable small hotel, good family accommodation.fairly quiet and seemingly safe area. We have always enjoyed our stays at the Best Western Peace Arch with a great location, plenty of parking, excellent service, comfortable and spacious rooms, a nice swimming pool and exercise room, along with multiple choices for breakfast. "Great Value for Roadside stay"
Friendly hotel that offers excellent value for the money. The room was extremely clean. The breakfast area was well stocked (seating area a bit on the small side). Easy to find. The water in the pool was a very pleasant temperature and the changing room were nice and clean. "Best Western Peache Arch Inn very comfortable." We stayed two nights. Very comfortable, lots of help with various other bookings, etc. from the front desk. Very clean. Absolutely no complaints. Would stay there again. Although on the highway, it was very quiet. Bed was comfortable. We stayed here on our way to Seattle from the Vancouver airport. It was conveniently located close to the border. The pool and hot tub were nice. Breakfast was typical but had a great automatic pancake maker. Staff was friendly, especially the fellow taking care of the pool. "Conveniently Close to the Border"
We chose this Best Western because of its location between White Rock, B.C. and the U.S. border crossing at Blaine. At check-in, we were greeted promptly, and the host kindly helped us with driving directions to a restaurant. The room was comfortable and a good size. The hot tub in the basement was nice and hot and had strong jets, although the swimming pool is quite small. My only complaint is: they could do a better job keeping the breakfast area stocked. I got the last hard-boiled egg on a Friday morning, so this was not yet the highest traffic of the weekend. The "fresh" fruit looked pretty tired, and there were not enough tables, so my husband and I had to sit on one of the couches in the lobby. This is a good place to stay if you need to cross the border -- but get down to breakfast early in order to have a better choice of food. "A Very Good Choice For My Surgery @ Peace Arch Hospital"
My wife and I reside out of town and for my scheduled surgery at the Peach Arch Hospital, we booked the Best Western Peace Arch for both the night before my day surgery and a further night's stay so my wife wouldn't need to drive home in the night. Check in was fast and friendly & our second floor room (elevator in the Motel) was roomy and spotless, included continental breakfast as well as in-room coffee maker. Numerous restaurant choices are within a VERY short walk and BEST OF ALL, the PA Hospital is only a 3 minute drive away! It doesn't get any easier than this. "I felt like I was walking into a spa"
"Stay Away. Would Not Reccomend." We were lied to by this Hotel. We booked 2 nights through Booking.com. We ended up calling the hotel 27 hrs prior to our check in as we had emergency and had to cancel. I read, and was aware of the small print about no cancelation on the Booking.com. The Hotel did charge us the full amount for the 2 nights we booked plus tax. The thing that bothers me is this hotel told me over the phone that they would have honored the cancelation and not charged us if we would have booked directly through them which was pretty much the same price as booking.com. They told me booking.com will charge them the full amount regardless and this is why I would have to pay for booked 2 night stay. I told them not to worry about it as I did not was them to be out this amount due to Booking.com. I emailed booking.com to ask the question. Booking.com got back to me explaining they absolutely would not have charged the Hotel any fees or commissions. They explained it is 100% up to the hotel. Booking.com said they would ask the Best Western Peace Arch to please make an exception and waive all charges due to our sudden situation. Best Western Peace Arch declined and charged my credit card anyhow. The Hotel, Best Western Customer Service and Their CEO never did answer why they lied to me. The Hotel has the option to charge, adjust or cancel any charges. This hotel just lied, stopped responding and charged my credit card the full amount. They knew we were not coming so I assume they rebooked out our room. Good Job Best Western. I'd rather sleep in a ditch then use you again. "Great little hotel and staff"
Stayed there 2 nights, super clean, perfect breakfast, very professional staff on duty. Beds comfortable,everything provided in room. Did not use pool but there is one if you like. Highly recommend this hotel. "A very good mid-range hotel"
I have stayed at the Peace Arch Inn on three separate occasions, each stay was for several nights. My latest stay was for 10 nights. The rooms have all been clean and well maintained. As with many Best Western Hotels, the rooms were all equipped with a fridge, microwave and coffee maker. The Internet was reliable and fairly fast and the wide screen television allows hdmi connections from guest computers etc. The hotel is generally pretty quiet, particularly when your room is on the top floor so you don't have any guests above you. There are pet rooms available and the place is definitely child friendly. The staff were uniformly friendly and helpful. There is a complementary continental breakfast available. This included cereal, oatmeal, boiled eggs, a variety of muffins and bread, yogurt and fruit as well as a one-touch pancake maker that is often a big hit with children. There is a pool and an exercise area, but I have not used either. There are some adjacent fast food places (A&W and Subway) and a small number of other restaurants a few minutes walk away. The hotel is well located for travelers going down to or coming from the US via the Peace Arch crossing. You are a couple of miles away from the really attractive parts of White Rock, but are close to Grandview Corners for shopping. I will definitely consider staying here again. "Good Motel for the Business Traveler"
This is were I choose to stay when I am in White Rock area for business. The beach is nearby but is not a distraction to business. The room was a double queen bed room with a microwave, frig, and flat screen tv. High speed wifi is here along with a simple breakfast of pancakes, hard boiled eggs, cereral and fruit. "Great Pet & Family Friendly Hotel"
Our family of four and our dog were only there for two nights be everything we experienced was great! I read previous reviews about noisy rooms. We stayed next to another family and yes we could hear the blowdryer early in the morning. The breakfast was perfect - something for everyone. The kids especially like the pancake maker that they could use themselves. We frequent the area to visit family and we will definitely stay again!! Hotel staff very accommodating..Overall stay not up to usual high standards of Best Western. Some usual room amenities missing ie: skin lotions,shotage of towels, lacked TV guide and content instructions, lack of sufficient seating for breakfast. Elevator lighting poor. Room was comfortable and clean as were outside areas, hallways, lobby etc. Hotel OK for overnight stopover, would not recommend for longe stay. "Convenient for early border crossing"
Hotel was convenient to the border and is quite attractive. Rooms were good but walls were thin and we could hear everything the next door was doing, possibly because of the connecting doors being inline with the bathrooms. I would recommend a room on the second floor at the back of the building, the south side faces a rental company which opens quite early and uses a forklift to move stuff around so if you are near the front ask for the north facing rooms. Breakfast was included and basic, coffee was from a Nestle machine so look for a Timmies if you want good coffee. I look forward to staying here every time I visit my family in White Rock! It's conveniently located, small and cozy, has everything I need - great pool/jacuzzi, breakfast and drinks in the morning - it feels like "home" every time I am there. very clean room, bed was comfortable, fridge, microwave, coffee maker and teas, TV. bathroom clean and the shower has good pressure unlike so many other hotels we have stayed at. Had a problem with the remote but the front desk was quick to fix it ( user problem! there's a delay when changing channels, oops). A free breakfast that had a pancake maker which was a nice change from the waffle making machines and an assortment of cereals, breads, muffins, fruit, yogurt, teas and coffee. coffee is also available in the afternoon which was very welcomed. parking is easy as the spaces are well sized and situated around both the front and rear entrances. did not use the indoor pool but heard it was very nice and clean. Hats off to the staff, very professional yet welcoming and helpful. they are knowledgeable of the area and its many attractions. thanks again for the dining suggestion at Red Rose just up the road, excellent. If you have any questions the staff will go out of their way to answer or find the answer for you. thank you all for making my stay safe, comfortable and restful. "Stayed in better for a lot less money!!!!" We stayed at this hotel because it was blocked for a family wedding. We had a corner king suite. When we opened the draped the sheers on one window were open and when we closed them they were shredded. We reported this to the front desk the next morning and instead of changing the drapes they offered us a bottle of wine - which we refused! We stayed 2 nights in a room with shredded drapes. We faced the front of the hotel - so any kind of privacy we had to close the room darkening curtains!! Not what we expected for the price we paid!!! Was very pleased with this little gem. Great room, nice décor, enjoyed breakfast bar - all in a rather uninspiring strip of South King George Highway. I would definitely stay there again and it appeared quite popular with family groups, too. Our stay was awesome, the bed was comfy, clean and quite, no noise. The hotel's staff is really helpful and friendly. We did enjoyed our stay at the best western peace arch inn, This is nice location only few minutes from white rock. Good restaurants walking distance, shopping mall few minutes is well, close to the us border and white rock beach. I would recommend this hotel and will visit again when back in town. "Not your usual best western experience "
The pool was dirty. The room was very hot and stuffy at check in (we arrived at 1130 pm) but cooled quickly with the air conditioning on. Had to turn it off to slept as the in room unit is loud. Bed was not the most comfortable. Coffee had used coffee in it. Check in staff told me I couldn't stay to conduct a work call I had that passed check out; however, day staff were helpful and okayed it in the morning. Not a business friendly hotel. Good for short term stay while traveling. Rates don't reflect quality. "Terrible Experience, Failure to Honour Rate"
Despite being at the back of the hotel, it was very noisy and disruptive in our room. We could hear the adjacent guest use the bathroom! 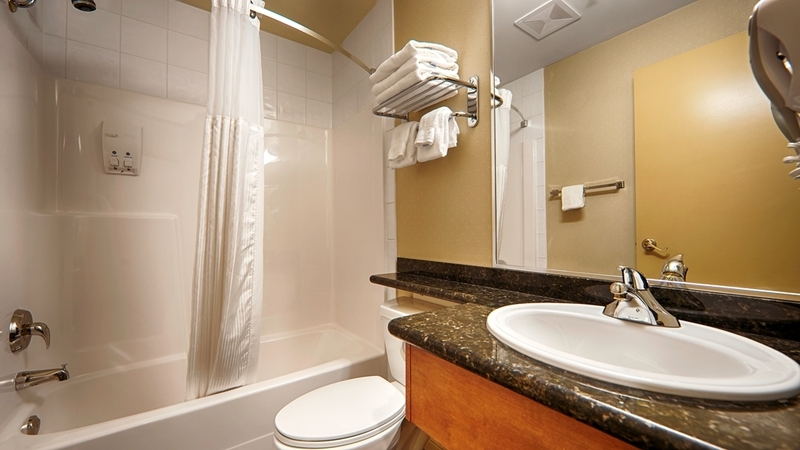 Toilet seat dropping, flushing and clear conversation... My spouse and I stayed here while our house was being renovated and although it was dust free, we found 2 hairs in the sink & tub upon arrival. Noticed one pillow had make-up on it and the remote control was crusty. I did my own clean to feel a bit better staying there. One cleaner was extremely kind and helpful. Sav at the front desk failed to honour the rate I was promised upon booking and basically called me a liar. Sav said that rate didn't exist, when I showed him it did online, he told me I can pull up anything I want...we started arguing and swearing at one another. I'd have to say this was the worst experience I have had anywhere overall. I can't believe this type of experience would exist at a Best Western chain hotel. "Convenient location but small hotel"
This is a small hotel. The rooms are small also. I found the bed too soft but my wife liked it. The breakfast area is also small and in the lobby. The location was very convenient to the US border and the the ferry to Vancouver Island. The room was clean and everything was in working order. Overall a very good one night stay. I'm sorry to report that I was offered only one room upon check in and it was adjacent to the staff area and the main front desk and entry area for guests. I was really looking forward to getting some much needed rest but the noise began around 6:00am, I checked in after 1:00am. I notified the front desk but they were indifferent and offered no resolution other that to call back later that day and discuss it with the on site manager. Thankfully, Expedia understood the issue and offered me a full refund. Sav at the reception has been very helpful and professional. He speaks french which was pretty convenient for us. Kids really enjoyed the pool! Very good location for a family road trip! Breakfast included and free wifi. Perfect stop on our way to Vancouver. Thks guys! I love how this Best Western hotel is situated in the country - there were birds singing when I got out of my car! This was a welcome change from the traffic and noise of the lower mainland. The room was very quiet, the bed was excellent, I used the laundry facilities and internet and enjoyed a healthy breakfast. Very relaxing, enjoyable stay! We were visiting family close by and this was very convenient for us. The staff were very friendly and very helpful. The breakfast was better than I had expected, with a good selection as well as a pancake making machine. I don't drink coffee, so it was pleasing to be able to have a delightful selection of teas. The only negative thing I could say was that the room was a little dark. More lighting in the room would be better. Other than that, we were very happy with our stay. We stayed two nights. We paid up front with no refund if we were to cancel so the price was cheaper. It has a continental breakfast consisting of cereals, toast, pancakes and muffins. The beds were comfy with good pillows. A little noisy as we were facing King George Hwy. so bring your earplugs. We would stay again. Limited TV channels, no reading light. Continental breakfast very good. Service excellent. Cleanliness of hotel very good. Didn't use the pool or fitness center. The location is in a good proximity of White Rock where my business took place. "great stay on the way to Vancouver Island"
We stayed here two nights. The bed was comfortable and the property was reasonably quiet. Our room had 2 queen beds, a TV, small fridge and a Kuerig coffee maker. The breakfast room was a bit cramped, but the food was good and they kept the buffet well stocked as things were used. This is a great place to stay, very accommodating and friendly staff. Rooms are good size, nice, clean and quite. 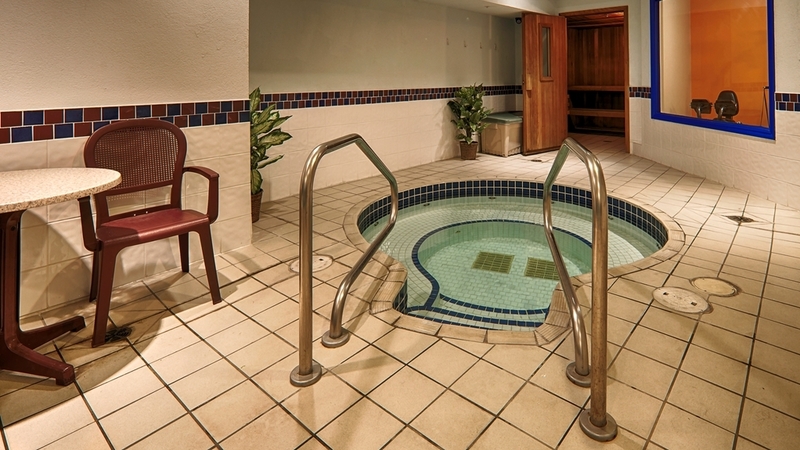 Indoor pool, sauna and hot-tub, complementary breakfast and no charge for the parking is well. Close to the us border and white rock beach. Some restaurants at walking distance. The area is nice. I would recommend this hotel and will come back again. "Great service & perfect location"
Stayed here almost a week. hotel offers kitchenettes. Front desk staff are extremely helpful & accommodating. The house keeping staff are very friendly & truly wish you a comfortable stay by engaging in conversation & by ensuring you have enough towels, coffee & tea, etc in your room each day. upon arrival my room wasn't ready because I was 2 hours early. The front desk staff offered me a tea, a mighty leaf green tropical tea. it's now my new favourite tea. The hotel also offers a free breakfast daily from 6:30 - 9:30. 3 types of cereal, oatmeal, yoghurt, hard boiled eggs, toast, fruit, various coffee, tea & hot chocolate & a variety of juices. the wifi has been excellent, the hot tub & pool are in great shape as are the rooms. the rooms & hallways are clean and kept up to date. the location is ideal, walking distance to Safeway, London drugs, and the golden lion restaurant (that's another review ). the laundry room was in good shape & the machines work well. they take two loonies for each load. you will enjoy your stay here. Clean, nice hotel. They provide s free breakfast. Stay on upper floor away from elevator. Lots of parking, hotel is reasonably priced-try to book in advance to get a deal, it is a pet friendly hotel too. "confrontation with front desk staff"
After a confrontation with front desk staff, regarding their not honoring payment for the one night stay using reward points, there were not so nice words exchanged. The front desk staff person then yelled at me three times telling me to "fu#K off", with his finger being thrust towards my face each time. It was so loud that all the people having breakfast witnessed this enraged front desk staff person. At that point, another person working in the back business area of the hotel came out to the reception desk and called me racist! I don't think this person really knows what being racist is. I never referred to the race or background, colour, etc, of the person I was confronting. My wife checked out minutes later while I apologized to the front desk staff person for what I had said earlier. I didn't receive an apology from either of these staff people at the Best Western. I will never stay at this hotel location for as long as I live, and will always recommend alternative accommodation for people staying in this region. A group of us stayed at this hotel after a very dear friend and brother passed away at the Peace Arch Hospital. In the morning we met for the breakfast and more people came to express condolences. We went through many cups of coffee and a lot of noise and commotion, but were treated like royalty at all times. I tried to pay for the extra coffees, however Abdul refused payment and even offered us a meeting room if we expected more people. We didn't require the meeting room but we were impressed that it was even offered. The night clerk extremely helpful as well, however I did not get his name. I would recommend this hotel to anyone! Nice and clean and quiet place to stay close to all amenities and close to white rock beach. I always stay at this hotel staff is friendly, and courteous, easy place to find. Lots of parking available. An older but reasonably clean hotel. Just the basics... Nothing more. Close to some shopping areas and restaurants. Breakfast is very basic, carbs with fruit. Boiled eggs and a pancake machine. ( oh ya, yoghurt!) The service was okay, although there was a rude and unhelpful front desk clerk one evening. Hot tub looked grungy and the sauna "out of order"
"Room 313-A had Mold/mildew on ceiling in Bathroom!" This was my second and LAST stay at this Best Western. My first stay 8 years ago was fine but not on Feb 21, 2016. I was very tired from a day of traveling by car and checked in late at 10pm. After retiring on a very uncomfortable bed( felt like sleeping on springs) I started to have an allergic reaction which I thought might be caused by dust. It was the Mold and Mildew on the ceiling in the bathroom!!! There was a very poor patch job around the water sprinkler in the ceiling and evidence of mold over areas of the ceiling. I do carry asthma ventilators and medcation for allergies but spent the most uncomfortable stay I have ever had in a hotel facility! I took photos and showed them to the clerk when I checked out and he tried to blame the housekeepers!! I had quite a discussion about mold abatement and that it had nothing in the world to do with housekeeping staff. Obviouslly the owners knew as a pathetic repair job was done. I ended up not paying for may stay but am most unhappy that they would put a guest in that filthy mess! I have contacted Best Western Corporate headquarters with my concerns but do not stay here, it is not worth the price! There are other hotels in South Surrey/White Rock that are much nicer. Smaller property had a lot on amenities. Clean comfortable rooms. Friendly staff. I wasn't there long enough to take advantage of everything. Short drive to lots of restaurants and shopping. Less then five minute drive to get on to the freeway going either north or south. Less than 20 minutes to the US border. "Nice place for a reasonable rate"
This hotel is just fine for an inexpensive stay in the Whiterock area. I was pleased with the location and the rooms were clean but slightly dated. I had no problems during my stay, and the breakfast was fine. There were no hot foods offered but there was a pancake machine for those who like pancakes. Location is great and the area is quiet. I stay at the hotel with my friends Best stay ever very comportable bed.friendly staff the housekeeper very friendly.the room its very clean.and the continental breakfast is excellent. Absolutely I will recommend this hotel. I stayed with a youth basketball team I was coaching. We had 11 rooms for parents and players. The service was excellent. Check in was efficient and well handled. We were very well treated and the staff did everything they could to make our stay enjoyable. The rooms were well appointed and appeared updated - and they were very clean! The breakfast buffet was very good. I would absolutely recommend this hotel. It was a great stay and a great price. We stayed for three nights during our move to our new home. I'd almost rate the hotel as excellent however the décor is a little stayed and the rooms are a suffering a bit from their age. Breakfast was nothing special but, overall, the value for money was excellent. All the staff we met were very helpful and courteous. We chose this hotel because it was close to our family but particularly because we could take our Boston terrier and Boxer. The room was small but we did squeeze in 2 crates. There was a fridge and microwave in the room though we didn't use them. What was a real bonus was that the room was next to the back door which led out to the car park. You could get in here again before 9PM with your key. This helped when taking the dogs out to relieve themselves and for transporting the crates backwards and forwards from where we were visiting. The negative for me was that there is no green area near the hotel. I did quick walks down a lane at the back of the hotel but that was all there was. Breakfast was free and buffet style and the price of the room was reasonable. Very Pleasant and enjoyable stay, This is a very nice hotel with great staff and service. My experience is always positive about the great service they provide. Comfortable rooms, nicely cleaned. walking distance restaurants and cinema. 5 minutes drive for Morgan creek mall. Indoor hot tub is an nice place to relax at the end of the day. they do have exercise room, sauna and pool. I would recommend this hotel. "Excellent service, close to activities"
The staff and their service was above excellent. The rooms were neat and tidy, and even included a mini Keurig. The beds and pillows were oddly very uncomfortable- very firm bed and very lumpy pillows (all of them.) While our family was grateful for the convenience of this location, we did not get the rest we needed because of the uncomfortable beds/pillows. "I won't of even gave it a one!" The outside of the place doesn't look to bad but the inside is absolutely terrible. It is so old as soon as you walk into the room, with the old rug and beds. The stand up lamp was broken so it was just leaned up against a chair. Was told we had to pay and stay for 2 nights cause they had a 72 hour cancellation policy. The guy at the front was very irritant. Spent the first night there which was very uncomfortable and called Best Western customer services to see what they policies were. 24 hour cancellation policy. We were out of there. Would not recommend this hotel to anyone. Best Western going to get bad name with this place. Moved to the Best Western Plus. Aside from a fitness centre with no working equipment, the hotel met our needs perfectly well. The room was clean with plenty of blankets, towels, etc., and the little kitchenette was well stocked. The heating worked beautifully which was perfect for how cold it was while we stayed there. The staff are all kind and professional. Stayed for 10 nights in September with my wife and have no complaints. Hotel staff were very friendly and helped in any way they could. Room was clean and tidy as was hotel overall and we always had a comfortable nights sleep. Continental breakfast was great and I enjoyed making my own pancakes each morning and then covering in maple syrup. Plenty of shops and restaurants within walking distance and we enjoyed walking into whiterock which was closer than we thought. Pool, hot tub, sauna and gym were great. Although small the hotel had everything you needed. One recommendation to hotel owners would be to create a small garden area with summer seat at back of hotel which would be fabulous in the summer. Overall, this family run hotel was great and hopefully we will return again. Extremely disappointed. Beautiful Hotel bad experience. To many issues to explain again. Read the reviews before planning to stay anywhere. I work hard for my money and this was a bad experience and made me think twice about not reading reviews on Hotel/Motels. Lesson Learned. We got a positive experience at the best western peace arch in. 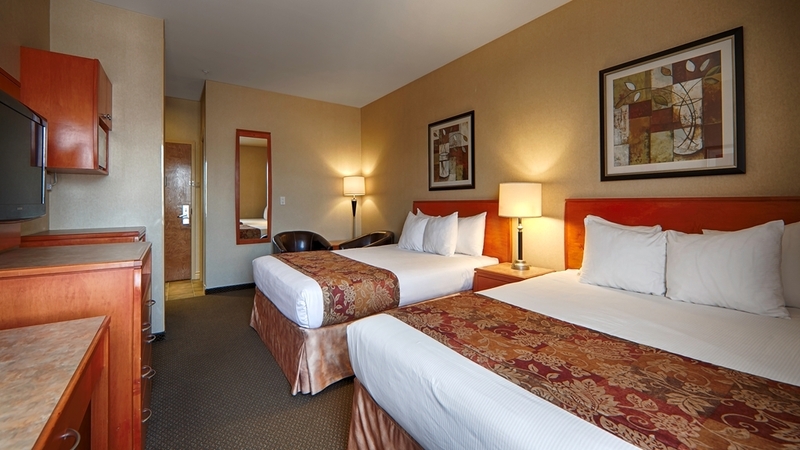 We like staying at the best western hotels, good comfort, clean and great service. staff was friendly and helpful. it's an pretty good location, we enjoyed our stay and did liked the area is well. We would recommend this hotel and will return when back in town. "Appears new from outside but run down on inside"
A convenient location and a brand we trust and know we booked a night at the hotel now. 9/15. When we checked in the gentleman at the front desk was unfriendly and gave us 2 room keys that did not work. I came back to get new ones and he wasn't even apologetic; as if I was the one bothering him. My husband and I got into our room and then left for a dinner meeting. An hour and a half later we returned and the same man shouted at us as we came into the lobby "where's my cart, you took my cart. I called you so many times...you took my cart". While it is true that we borrowed the cart, we certainly didn't feel like that his behaviour was appropriate, in fact we felt like we were staying in a 1 star dump down on East Hastings street in Vancouver. What a jerk. The hotel is quite run down so I recommend lowering the bar if you plan on staying here; the modern outside of the building does not reflect the inside! We stay, on average, 4-6 nights a month in different hotels. We will not return to this particular hotel. "Will Never Stay at Another Best Western Again"
Absolutely HORRIBLE experience at this hotel. When we first arrived to check-in, we were told that we can't use a gift card that we had because I hadn't entered it when making the reservation on Best Western's website, however I didn't see that anywhere when I made the booking, and the only reason we even chose to stay there was BECAUSE we had a gift card. The gentleman at the front desk did, however, speak to the manager and ended up letting us use the gift card after all, but it wasn't without a lot of hassle and was not a good first impression upon arriving at the hotel. Then when we got up to the room, we realized that the bathroom sink was extremely backed up to the point that we went out for over 5 hours, and when we came back, the sink STILL hadn't drained, so we had to wash our hands in the bathtub. Furthermore, the room was not clean (dirty tissues behind the nightstand), the bed sheets looked like they hadn't been washed, and there was a bunch of kids having a big party in the room next door at 2:00am. I did call down to the front desk to report the noise next door, and the party was shut down, but still not pleasant to be woken up by that in the early hours of the morning. I also wanted to report all of the other problems that we encountered, but when we went to check-out, there was no one to be found at the front desk and we had to go, so we just left the room keys on the desk and left. Needless to say, I will NEVER stay at this hotel nor another Best Western property again nor would I recommend that anyone else does either. I travel a lot, and I have only had one other hotel stay that has been a worse experience (not a Best Western property). I expected a lot more from a well-known, international brand such as Best Western. They should be ashamed of the operation that they're running at the Best Western Peace Arch Inn. My husband and I stayed at this hotel for two nights while exploring nearby White Rock and surrounding area. We had a room with two queen beds and a small kitchenette. The room was clean and comfortable. There seemed to be no soundproofing between the room and the hallways and anyone talking in the hallways could be heard clearly so very noisy. This is my only complaint. Staff were friendly enough. "Bed bugs in room 102!!!!" Stayed in this hotel for a funeral and was very disappointed. Best westerns are usually decent but this one left us with bed bug bites, broken gym equipment, and swimming lessons taking place in the pool where guest are supposed to share?!?! "Just run of the mill..."
Nothing special at this property. The room could have been cleaner, the hotel staff are difficult to understand. I doubt that we will stay at this property in the future, the only positive is the proximity to the USA border crossing. A friendly stop ... The property is clean, well maintained and great location. Internet access is very easy and the continental breakfasts is more than adequate. It is certainly not the fanciest property in the world but a great option when in the area. "Except for smallish room, excellent in every respect"
Well-run property, very clean, well-maintained, with new-looking furniture and appointments. Our room was very quiet even though the motel is on a four-lane highway. Continental breakfast was a bit above average. We would stay there again. If you're coming in from the U.S., and plan to visit the George Reifel Migratory Bird Sanctuary the next morning, this is a particularly good place to stay. "Peace Arch Inn - Great Hotel in South Surrey"
I was greeted by Abdul for a 3 night stay in a very courteous, gracious and professional manner. All front end staff who worked during my stay were also friendly, courteous and professional. Room (and hotel dining area, elevators, etc) was very clean with shampoo and shower gel dispensers in tub/shower, sewing kit, etc. Maids cleaned the room in top form each morning. Fridge, microwave and keurig coffeemaker were priceless. Breakfast is a better than usual continental with fruit, yogourt, toaster, pancake maker, cereal, oatmeal, etc. Location is perfect and the hotel shows a care of ownership that I overheard others commenting on when they were checking in. Staff here makes all the difference. I'll be back for sure. Safeway, liquor store, mall is just around the corner. A&W, Subway, Chinese, Italian, either next door or a short walk around the corner. Great location. "Front desk staff rude and uncaring"
We chose to stay at this hotel because of the free breakfast, the fitness room and the pool and hot tub. What a mistake. Our first experience was being charged a $100 deposit on our credit card for incidentals. They don't even sell anything at the hotel...when I asked about it I was told it was just their policy and then I was brushed off. The front desk attendant didn't want to talk about it anymore. We were put into a room with an adjoining room beside us. You can literally hear a person fart in the room next door. There was no soundproofing at all. It was terrible and I got little sleep as the people next door were up at 5 am. We went down for breakfast only to discover that most of the display cases containing food were empty. I had to ask the front desk attendant to refill some items. They had no orange juice, no yogurt, etc. The cold hard boiled eggs are from a bag filled with liquid. I got to watch the guy cut the bag open and pour out the eggs into the bowl. Gross is all I can say to that! After breakfast we decided to go have a workout and a swim. EEK, only one of the antique treadmills had a power cord so only one of us could use it at a time. All of the equipment is very old, in disrepair or doesn't work. There is a mounting bracket and cable hookup for a tv but no tv. We noticed lots of little kids in the pool and soon realized when the parents came to pick up the kids and some were dropping off others that they were running swimming lessons in the tiny little pool. The kids and parents were using the hot tub as well so we couldn't use any of it. After our very short workout we went to the front desk to talk to them about the pool and the attendant suggested we just use a corner of the pool. Wow, great problem solving buddy! Not impressed. After night 2 the new people in the room next door had an alarm set for 6 am. It was so loud it woke me up and then that was it because they got up and I could hear everything they said and did. It was awful. Upon check out we asked the attendant (who happened to be the front desk manager) to refund our credit card the $100 deposit. He told us it wasn't a deposit just a $100 hold on our card. When I explained that was not what we were told when checking in and that I have never had to put my card in a machine and enter my pin before checking into a hotel he got very rude. He was very disrespectful to my husband as well. Do your homework before staying at this hotel, it is probably worth your while to spend a few more dollars and stay somewhere a bit better. Not very good value for your money in my opinion. I would not recommend this hotel at all. We have stayed here a few times because it is a very convenient location to family, friends and shopping. It is constantly improving, esp. in the breakfast being served - herbal tea is outstanding (African organic) and toaster is the best and most efficient we have seen (ie conveyor type which toasts to perfection). The breakfast room is a little small, but since most people don't dilly dally, it seems to work OK. I like the fact they has Keurig coffee maker in rooms. First time I've seen that and a better way to have a in room cup of coffee. Room was fairly clean & quiet. Top floor facing King George. The location is good, many nice restaurants around and shopping. Good staff & check in/out. Good pit stop if need be. I found the in room rugs to be or at least feel dirty. Not saying they were dirty just tired maybe. Otherwise good place. .